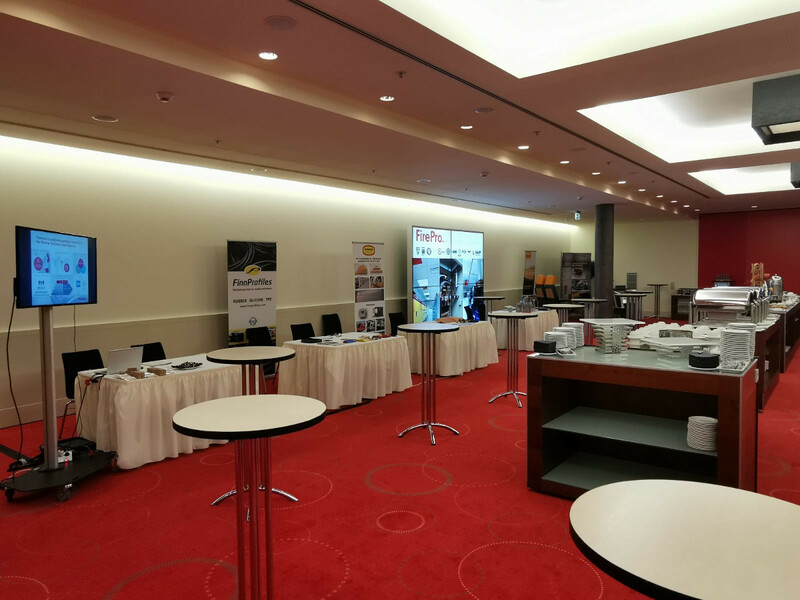 FirePro participated in the 15th Annual Fire Protection of Rolling Stock Conference, in Berlin, Germany on 27th and 28th February. 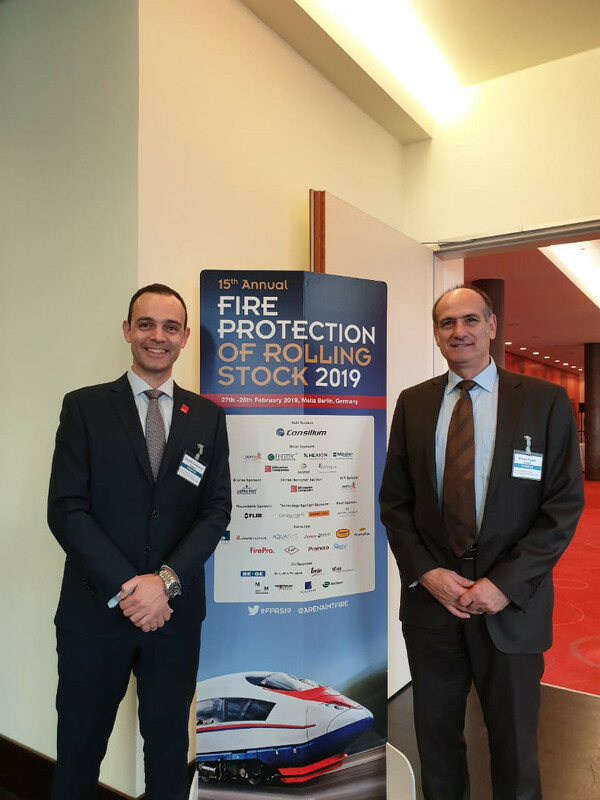 The two-day event takes an in-depth look at the biggest challenges and the available solutions concerning fire protection issues in the Rolling Stock sector. It brings together senior decision-makers and representatives from operators, manufacturers, regulators, research institutes and service providers, to share experiences and real-life incidents. Among the topics addressed at the conference were industry advancements on Fire Safety standards, regulations, materials, equipment, methods, practices, and research. 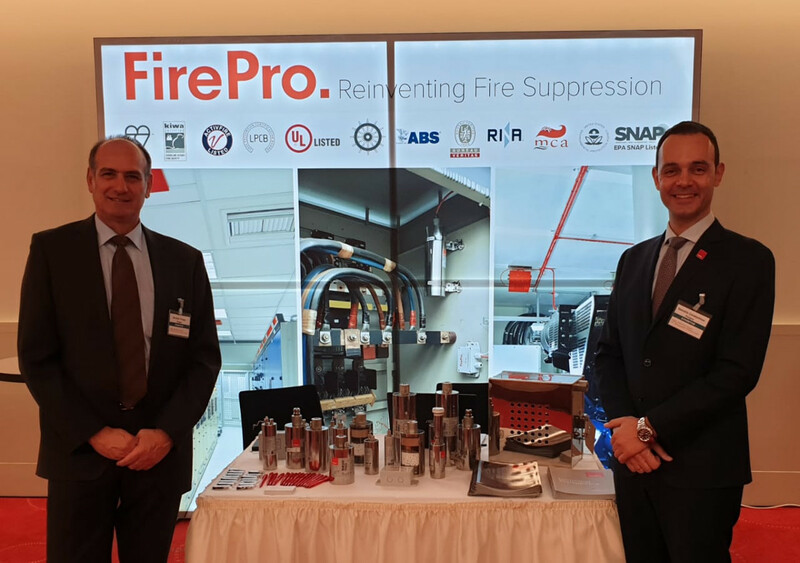 FirePro was present as an exhibitor at the conference, and Senior Business Development Manager, Mr. Demetris Constantinou joined Regional Business Development Manager, Mr. Nicolaos Frangos, to present the FirePro product line, as well as its advantages and applications. 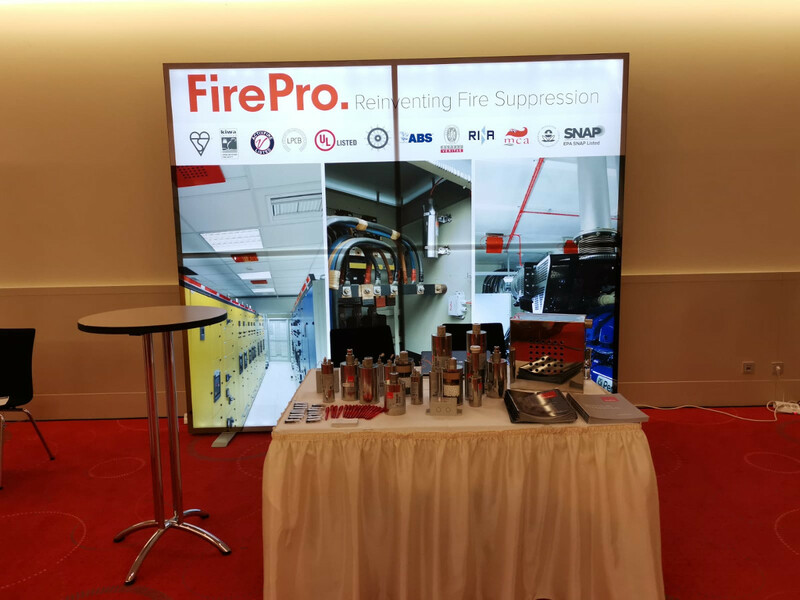 Around 250 attendees from a variety of backgrounds and occupations, including train operators, authorities, consultants, research institutions, universities, train manufacturers, fire safety integrators, and many more visited the FirePro stand. FirePro sincerely thanks all those who visited our stand and we look to the future with anticipation for effective new business partnerships.